Tottenham manager Harry Redknapp admits he has been impressed by Blackburn's Christopher Samba, but insists he is not near to making any signings. Defender Samba, along with Bolton's Gary Cahill, has been linked with a move to White Hart Lane in January. "Samba's a good player. A real good player. I like the pair of them," said the Spurs boss. 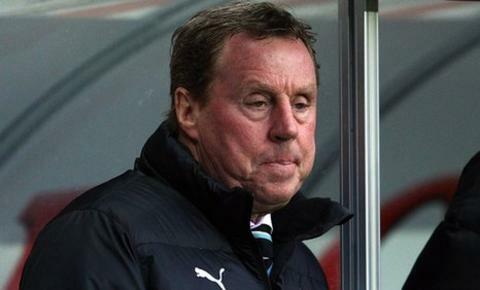 Redknapp also confirmed an interest in Marseille striker Loic Remy, but added that he was "not close to anything". "We're not in a position where I'm desperate for anybody," he added. Samba, 27, demanded a move away from Ewood Park in December 2010 after manager Sam Allardyce was sacked by new owners Venky's, but was convinced to stay and extended his contract with the club until summer 2015 two months later. Blackburn during this transfer window and have insisted the centre-back is not for sale as they attempt to climb off the bottom of the Premier League. Tottenham are focused on the other end of the table and could pull within three points of leaders Manchester City with a win over Everton at home on Wednesday. Ledley King will miss that match after straining a hamstring in the FA Cup win over Cheltenham while William Gallas has suffered a slight tear to a calf muscle. Their injuries leave Redknapp with Michael Dawson, who has just returned from a four-month lay-off, Younes Kaboul and Sebastien Bassong as his only fit centre-backs. Remy, who Redknapp was interested in signing when the striker was playing for Nice, came close to signing for Stoke in August 2010 before a move broke down despite a fee being agreed. He is joint-third top-scorer in Ligue 1 this season after finding the net seven times. Redknapp has also reassured Steven Pienaar - a signing from last January's transfer window - that he is still a part of the club's plans despite a disappointing first year in north London. "Players like Pienaar and Niko Kranjcar are good players and they can get in the team," Redknapp said. "You saw on Saturday that they have quality and they have a big part to play between now and the end of the season."